Like many in your position, you're probably feeling a bit overwhelmed and nervous about keeping all of your deliverables organized and on time. You may have questions, and feel timid to ask your family or friends for fear of sounding out of the loop; like, "when should I submit my primary application?" and "what the heck are secondaries?" The good news is that you're not alone! Many premed or post bac applicants are asking the same things to themselves, and it is important to get the answers before the application season is underway. Though every applicant will be a little different, this checklist is a good rule of thumb. Use it as a guide as you prepare yourself for one of the most impactful applications of your life. At this point in time, you should be registered for an MCAT test date and have a study plan in place. Ideally, you will have all of your premedical requirements completed by the time you take the test. You should know that it takes 30-35 days to receive your MCAT score, and that it will set you up for better success to have the scores before June 1 (when the primary application opens, and you should submit your application). The most prepared MCAT students have taken the full length official AAMC tests, and are consistently scoring within their target range. Though you may not have all of the information that is required to determine your candidacy (such as your pending MCAT score), you will know your overall and science GPA, your research and clinical experience to date, and the compellingness of your choice to become a doctor. You should begin looking at your target schools and determining whether or not they're realistic for you. If they seem like a reach, or if you feel you need more time to bolster your experience or GPA, consider alternative routes you can take to practice medicine. This could include applying to DO programs (which we've included in this timeline), applying to special Masters or post bac programs to retroactively inflate your GPA, or considering other graduate degrees that allow you to contribute to the field of medicine. You should note: having a Plan B does not mean that you won't get into medical school. In my experience, having an alternative option to medical school can only help you. Because the path to medical schools in the United States is so competitive (less than half of all applicants are admitted), a Plan B means that you have a fall-back should you not be successful. (If you're struggling at assessing your own candidacy, feel free to sign up for a free assessment). You'll need 4-5 letters of recommendation before June, and 2 should be from science mentors or professors. One would ideally be from a non premed professor, in the humanities. With this in mind, you should start thinking about who you'd like to ask. Though your academics are first priority, your MCAT should be a close second -- be sure that you're sticking to your study plan, and that you're able to keep your grades up at the same time! You should work on your professional resume in preparation for June. Have someone who is a writer and good with formatting look over it and make sure it is up to snuff. Reflecting on your resume will help you begin brainstorming your activities list (which is essentially a resume in narrative blocks) and most meaningful experiences. You should include unpaid and paid positions here, and keep it to one page if you're an undergraduate or recent bachelor's graduate. Now should be the time you're beginning to get things down on paper. You should complete prewriting exercises that are tailored to your most meaningful experiences and that demonstrate why it is you would like to be a doctor. (This can be very difficult -- it is natural to feel frustrated. If you get stuck, you should contact us and we can set you up with an MD writing coach). You should ask those 4-5 people for their letters of recommendation, and set a task now to follow up with them in April to check on their status. You should begin researching your schools using MSAR and AACOM CB. Start bucketing your target schools into safeties, targets, and reaches by using your GPA and practice/actual MCAT test scores. Having trouble getting a sense of which schools to include? Download our guide to getting started here. By this time, you should have some full length practice test data from your practice tests. Make sure you're adjusting your plan as you continue to see improvement or need to see improvement. It is normal to get stuck on certain sections or question types. If you need someone to diagnose what's keeping you from your target score, consider scheduling with one of our MCAT tutors. At this point, you should have a very strong sense of whether or not you're on track to meet your MCAT goals. Though applying sooner rather than later can be beneficial depending on your profile, the most important thing to assess is whether or not your score is going to allow you to be considered for your target programs. If the answer is yes, great! If the answer is maybe, be sure to consider alternatives now, such as DO programs or deferring a year to give yourself more time. If you haven't acquired your letters of recommendation, be sure to follow up with all pending recommenders now. It's now time to put pen to paper (or, finger to keyboard?) and get the first draft of your personal statement down on paper. You should make sure you have a thesis statement, and compelling narrative evidence that supports your claim. Keep in mind that writing is a process! If this is taking a lot of time, it means that you're doing it right. Don't get frustrated -- keep working on your narrative, and get a colleague or friend that is an excellent writer look it over. (Psst, we also have a team of professionals who do this every cycle. Check them out here). Enough said. You'll need to insist by a mid-May due date so you're not held up. This may feel overwhelming, but start getting the boring stuff done now. Fill out your demographic, and plop your personal statement in there when you have quadruple checked your final draft. You'll also need to begin cracking at that activities list and most meaningful statement. You'll need to order your transcripts (follow the AMCAS instructions) so you have them submitted on June 1. By the end of May, in an ideal world, you should have your MCAT scores back, and have a better sense of your candidacy. Alter your school list accordingly. Many of our applicants stay up until midnight on May 31st, to be some of the first to submit on June 1. Keep in mind, in order to be the most competitive applicant you can be, you should apply as close to June 1st as you can. 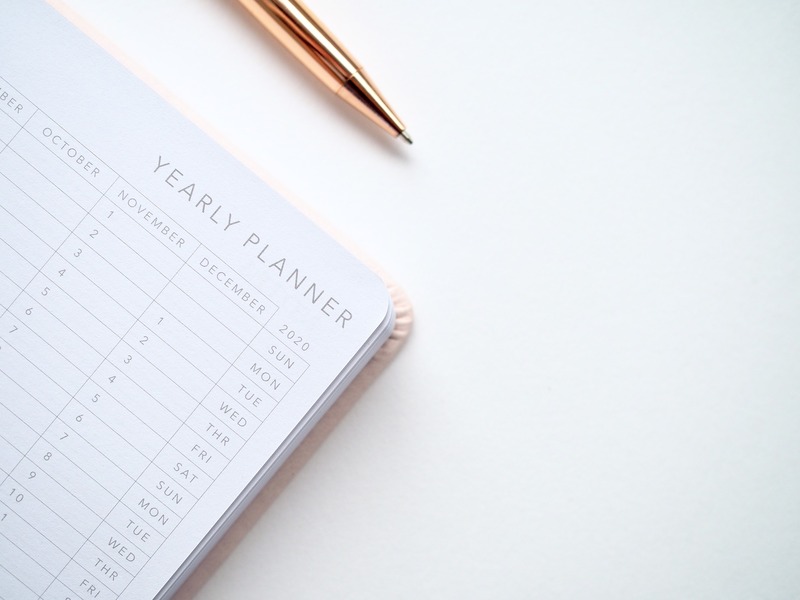 You should ensure you should apply in the month of June -- anything after June will seriously impact your candidacy, and should in all likelihood trigger you to defer your application to the next year. Press submit on your AMCAS primary application. This should happen in the month of June. Secondary applications are unique essay prompts that are associated with each school you applied to. Though you won't know for sure what the prompt will be, there are ways to begin prewriting and planning for them. If you applied on June 1, you will begin receiving secondary applications the first week of July. After your AMCAS is submitted in its completed form, you'll begin receiving your secondary applications 4-5 weeks later. If you submitted late, you should expect to receive your prompts for secondary applications 4-5 weeks afterwards. A few things to note: you should try to turn your secondary applications within 2 weeks of receiving them. This is extremely important if you would like to continue to be considered a competitive applicant! This can feel daunting when you receive a secondary prompt for every school you've applied to -- at the same time. If you applied to 20 schools, that means you'll be assigned 20 unique essays to get done in two weeks. Ways to manage this -- be sure you've cleared your schedule entirely during this two week period. If you've started prewriting in June, this period of time should be a little more manageable. Finally, if you're trying to prioritize urgency in completing, make sure you complete schools in each bucket first, not just schools that are reaches! This allows you to address your safety, target, and reach schools with an even distribution, which increases your chances of admittance. Keep in mind -- there are three different types of interviews (review them here). There are different ways to prepare for each of them, and you'll want to begin practicing so you're ready for your invitations. A major piece of advice -- re-read your personal statement, and prepare for standard interview questions by scripting responses aligned with your personal statement and most meaningful experiences. Your thesis should be a strong thread that runs through all of your interview responses. Open your AACOMAS portal and begin completing the application. Are you feeling stuck on one (or many) components of this application? Fear not! We have many coaches who can help you. Our MD strategy coaches are MDs from Harvard, Columbia, and NYU medical schools. They can help you with bucketing your school list, keeping your deliverables on time and organized, and subsequent interview preparation. We also have professional writers who are extremely familiar with the medical school admissions process, and can work with you to draft an amazingly compelling and clear statement, activities list, and secondary applications. But before you sign up, why don't you start with an free MD candidacy assessment? Talk to an administrator who can help you determine if your plan makes sense, given your timeline and numbers.